Power Mac Center, the reliable retail shop and service provider of Apple products in the country, celebrates 21st Anniversary. 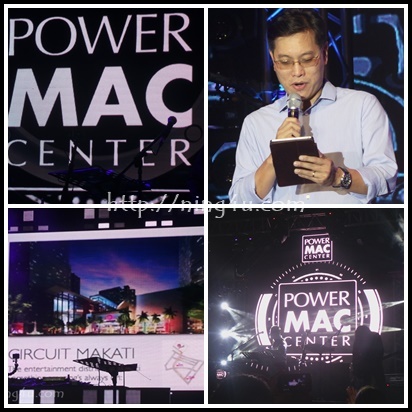 To celebrate their milestones in business, a meaningful collaboration together with Ayala Land Inc and Circuit Makati was made and they will call it the Power Mac Center Spotlight. Power Mac Center's Power Mac Center Spotlight is the newest arts venue located at Circuit Makati. A theater with over 300 seat capacity that has a state-of-the-art lights and sounds equipment. It will provide venue for various kind of art like musicals, concerts, recitals and more dynamic performances. It will bring diverse opportunities to promote not only arts but also Filipino artists. To witness the kinds of performances that will be soon held at Power Mac Center Spotlight, a night of music from Filipino talents happened at Greenbelt 5 last August 26, 2015. The Manila Symphony Orchestra performed their own renditions of iconic songs, as well as a teaser of Chuva Choo Choo, a musical show that will be seen in the near future at Power Mac Center Spotlight. Moreover the celebration continues with a live performances called Sync Sessions, from the Filipino bands like Franco and Urbandub using only Mac and iOS devices. The band nailed every performances on stage, specially when they play their iconic songs only with Apple devices. For more details about, visit www.powermaccenter.com.